When Clinton made this statement she was responding to a question about the District of Columbia v. Heller (2008) decision: a decision dealing with the foundations of the Second Amendment; the very roots of what it protects. So how can a woman who does not believe in an “individual” right to keep and bear arms support the Second Amendment? She can’t. Incidentally, Clinton made this point evident during the debate when she said her disagreement with the Heller decision was the way the SCOTUS applied the Second Amendment in that case. For those of you who may not know, Heller centered on Washington DC’s gun ban–which was subsequently struck down via the SCOTUS decision. 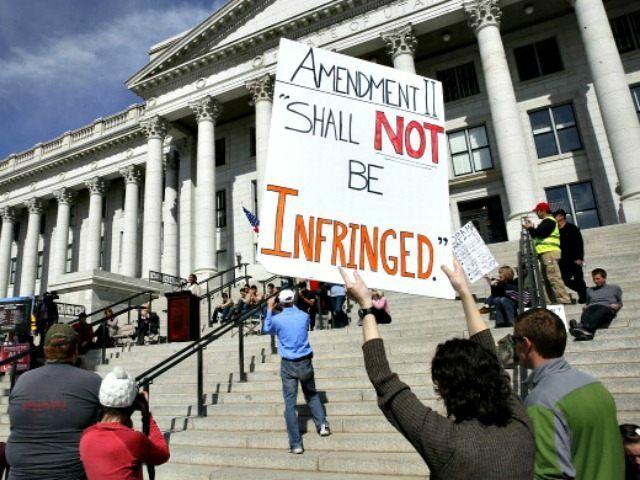 To oppose the application of the Second Amendment in Heller is to oppose the fact that a gun ban was overturned. That is not supporting the Second Amendment.